The start-up DiamFab is proposing a solution for Diamond based MOSFETs, using Boron doping to enhance electron mobility. 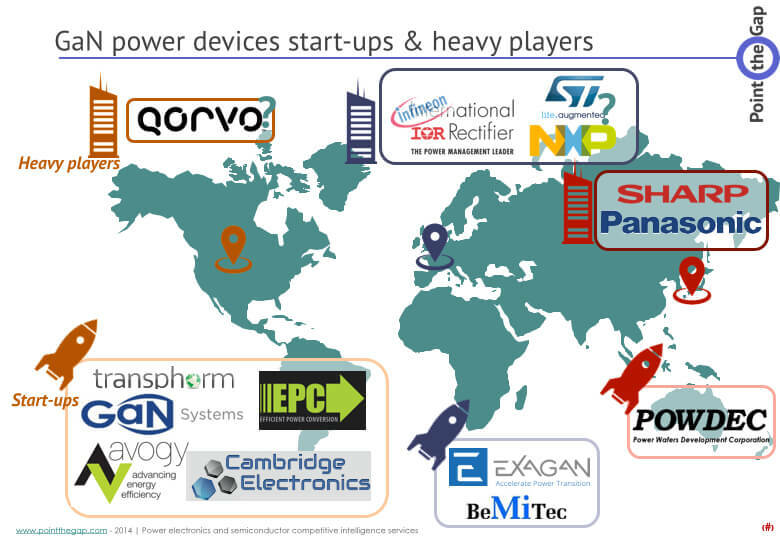 The start-up is a spin-off from a French lab, together with UK and Japan team members. 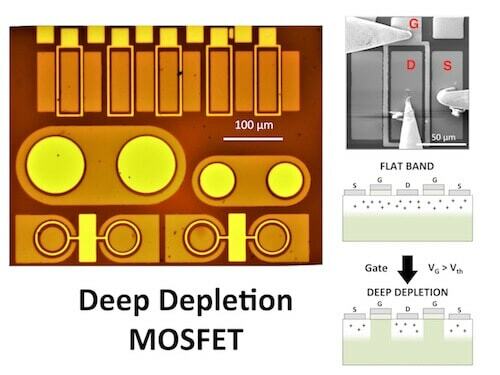 They have developed the Deep Depletion concept to realize Diamond-based MOSFETs using single-boron epilayer stacks. In a MOSFET, the oxide layer with its metal connection (the gate) is deposited on top of the semiconductor material. The voltage applied to the gate will bring and modulate carrier density, thus the channel conductivity. The challenge resides in bringing enough carriers in this region in order to reduce the resistance of this channel. It’s directly linked to the On-Resistance (Ron). It’s also important to bring them quickly, in order to reduce the latence of opening and closing the channel. The current capability of a MOSFET is also related to the mobility of carriers in this channel. The quality of the oxyde becomes important. The Deep depletion concept is said to overcome the carrier scattering problem. The research team deposited a layer of Aluminum Oxyde (Al2O3) at 380°C on top of oxygen terminated thick diamond epitaxial layer. They incorporated Boron atoms to add holes in the diamond layer (Boron has one less electron than Carbon, doping Carbon with Boron creates free holes in the semiconductor material). The bulk epilayer functioned as a thick conducting hole channel. Applying a voltage to the gate then repels and depletes the hole: the “Deep Depletion” region. says Julien Pernot, a researcher at the NEEL institute in Grenoble, France. The start-up DiamFab has been created to produce and commercialize these structures. The following researcher institutes and universities are involved: Université Grenoble Alpes, CNRS Institut NEEL, CNRS G2ELab, Université de Toulouse, University of Cambridge, University of Tsukuba and Institut Universitaire de France.